The Delahaye Type 140 resp. 140 A for a payload of 1.5 to 2.7 tons was made starting in 1938. Many of these vehicles were taken over by the Wehrmacht. 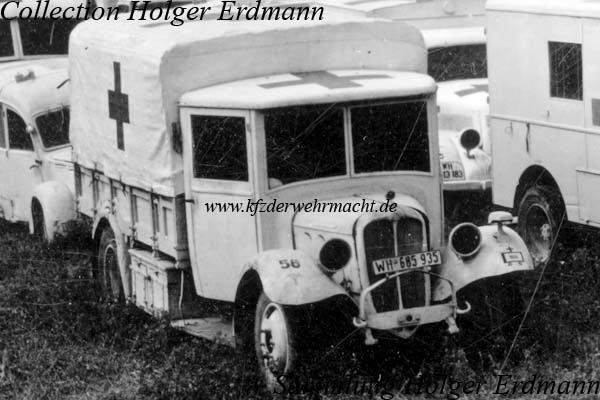 The illustrated vehicle belonged to the field hospital of the 29. Pz.Gren.Div. The photo was made during the surrender on 29th April 1945.